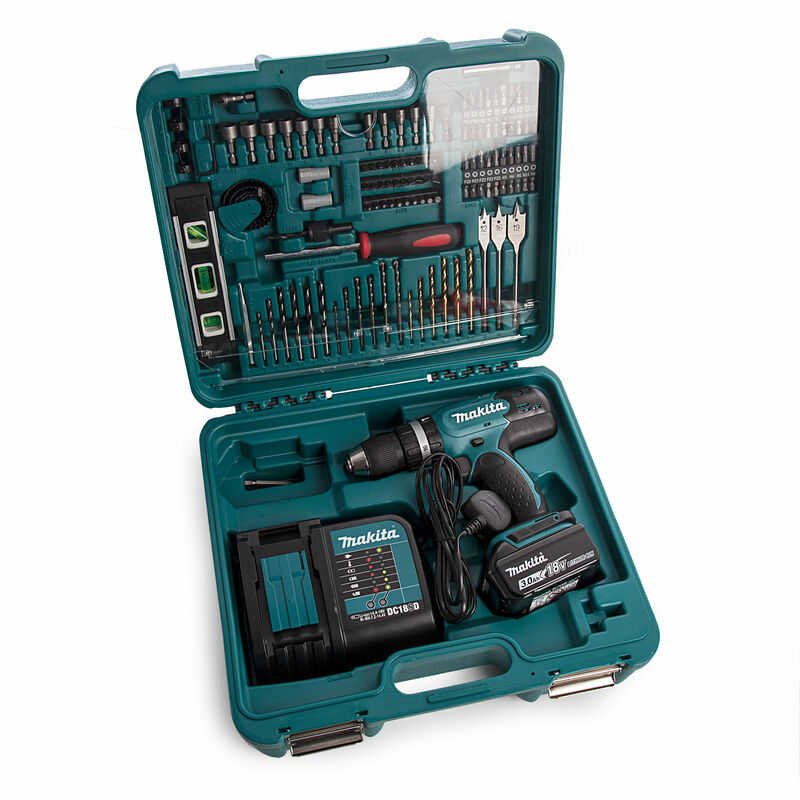 The Makita model DHP453SFTK is an 18v Cordless Combi Drill and accessory set. Ideal for a variety of applications to suit any trade. 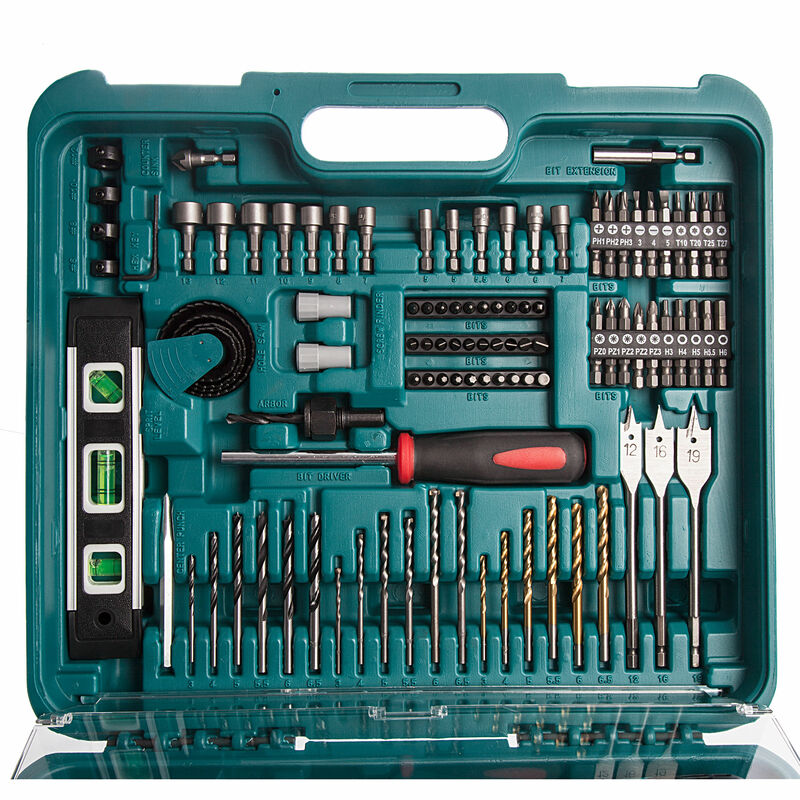 The DHP453 features a 2 hammer speed setting and top quality tough industrial 13mm keyless chuck. 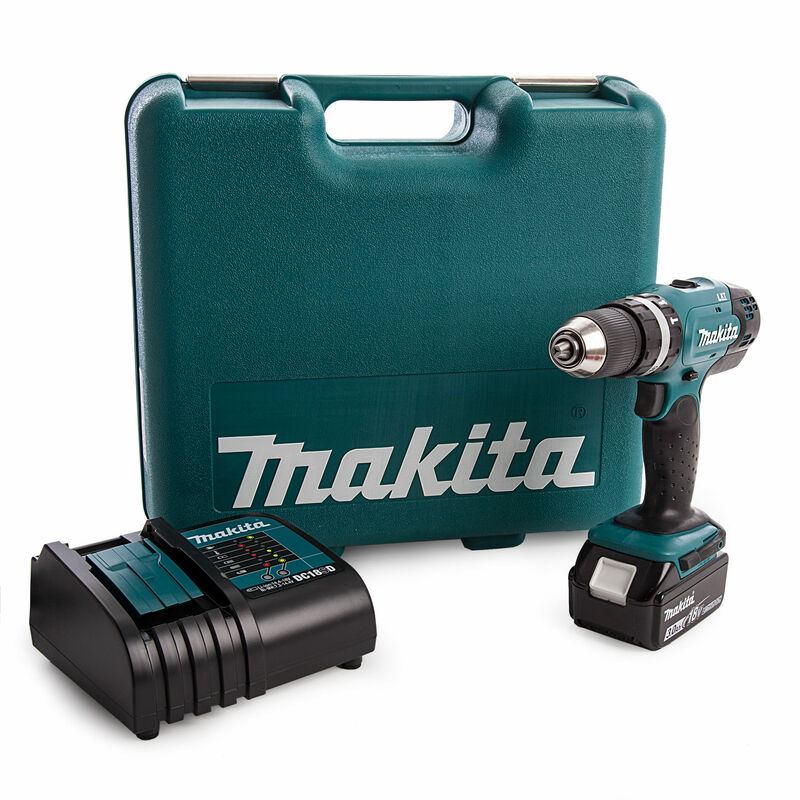 18v Makita Combi Drills use an easy find push button for forward and reverse action. 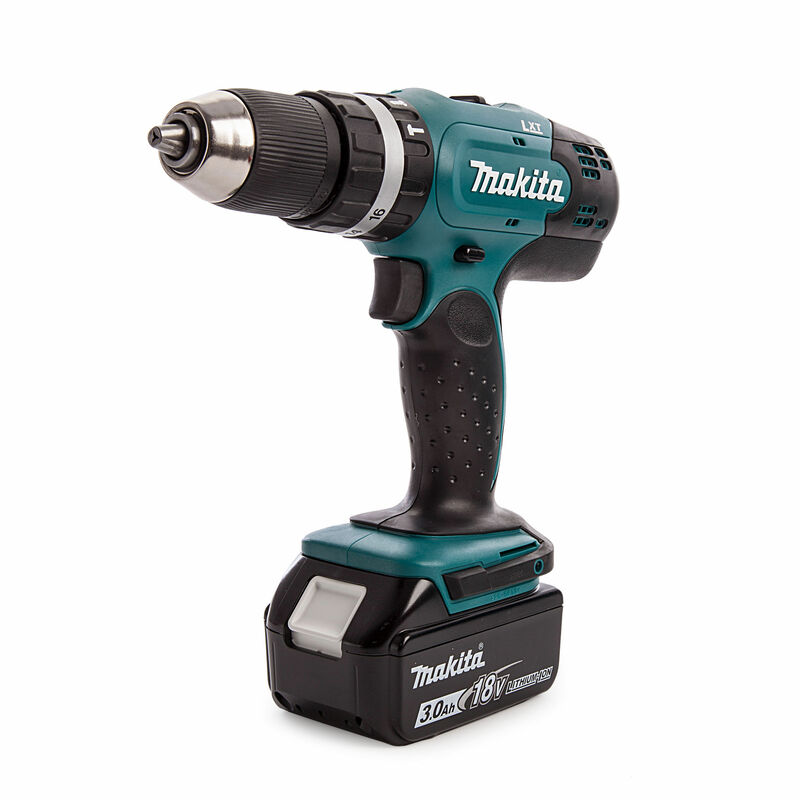 The safe comfort grips have an ergonomic shape fitting like a glove into the tradesman's hand with even pressure and easy safe overall control and are fully compatible with genuine Makita 5Ah, 4Ah and 3Ah slide fit batteries. Supplied with BL1830 3.0Ah 18v battery pack, fast charger and 101 piece accessory pack.